JB series horizontal coarse crusher is a new type horizontal coarse crushing mechanical equipment developed and elaborately made by our factory, which is widely used in industries of chemical, pharmaceutical, electronics, foodstuff, rubber, plastics, etc. It is used as specialized equipment for coarse crushing of materials in preparatory process, and crush hard and tough materials like plastics, rubber, etc. Especilally, it is not limited by viscosity, hardness, softness and fiber shape of material and has good effectt to all materials. 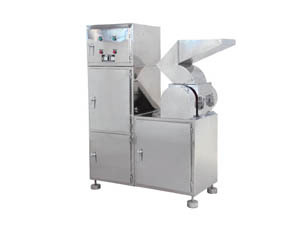 The machine has horizontal crushing structure and the whole machine is made of stainless steel. It has such features as compact structure, convenient operation, stable running, wearability, easy to clean, low noise, good efficiency, etc. so it is the most ideal new production in the current crusher market.